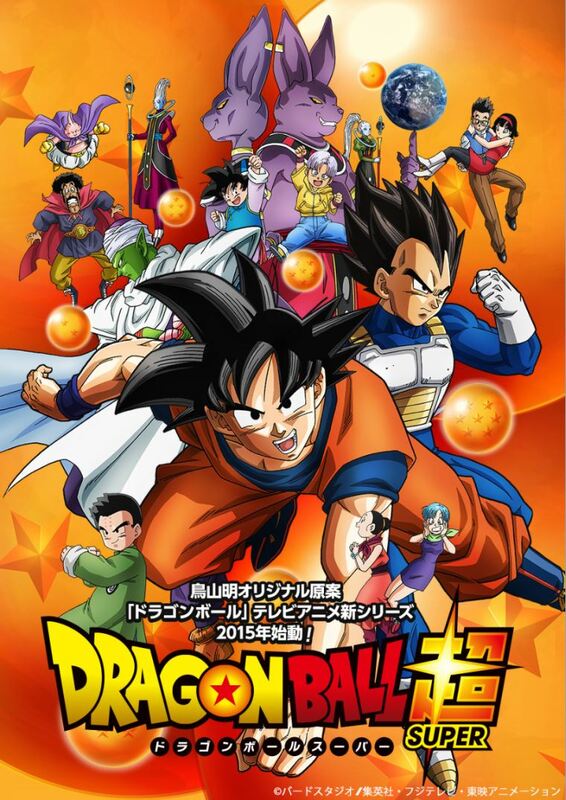 FUNimation Toei Animation, Fuji TV, Yomiko Advertising, Inc.
Dragon Ball Super is the direct sequel to Dragon Ball Z. (Not GT, since Toriyama had no hand in its creation) and takes place directly after the end of the Buu Saga. Dragon Ball Super retells the events of Battle of Gods and Resurrection F, and once again pits Goku and his friends against the God of Destruction, Beerus. Searching for the the prophecy of the Super Saiyan God, his challenge pushes Goku to new extremes and abilities that end up shaking the entire foundations of the universe! Soon afterwards, Goku and his friends go on an all new adventure that spans all new alternate universes. What will become of Goku and his new powers, and what opposition will be waiting for him in his journey across the multiverses? The above description came from atomofish and Cavery, and was edited by yours truly (contact me).